Great condo. Clean and bright with a great view. Really suited our family well. The property over all is very manicured and welcoming. The condo is spacious and well appointed. We found the kitchen to be easy to use and all the appliances you would typically want were there. There were ample dishes to use and even Tupperware to store leftovers and the like. The living room and master have beautiful views of the ocean. We loved sitting on the lanai and having coffee or a meal. The bedrooms are large and the beds are comfortable. We used the pool in the property most days and it was heated nicely. The ponds throughout the property were also very enjoyable. We a great stay and we would stay at this condo again. Beautiful property. Very comfortable. Perfect location. Comfortable home with many extras. Easy access to groceries and beach a pleasant walk. This condo was absolutely wonderful and perfect for our family! We were especially thankful for the first aid kit in the master bedroom - our first day there, my husband cut his foot pretty badly while snorkeling and was bleeding all over the beach! My son and I ran back to the condo and found the first aid kit so we could stop the bleeding and get him bandaged up. Unfortunately, we were in Maui when Hurricane Lane was moving through so we didn't get to experience the island quite the way we had hoped. We had to spend two entire days in the condo because of the high winds and soaking rain, but we couldn't complain about the accommodations at all. We really enjoyed the pool, shuffleboard and mini golf greens. The resort area was very relaxing and quiet - not a place with loud parties going on so it's perfect for families. All of the amenities provided in this unit were great, too - the cooler, beach chairs and towels, snorkel gear and boogie boards - they've got it all! I would highly recommend Papakea Resort and especially unit K-202. The view from the lanai was beautiful and the air conditioning was a welcome feature since we weren't accustomed to the humidity in the islands. 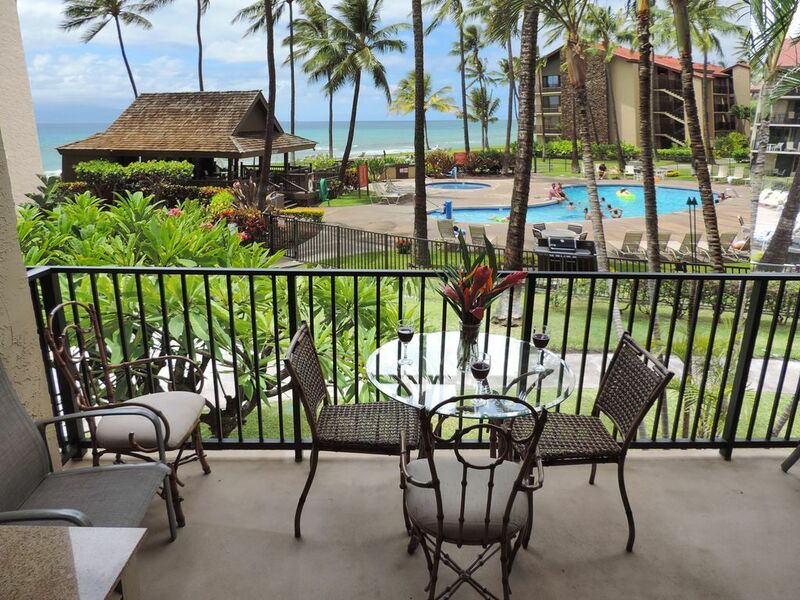 I highly recommend unit K-202 and the entire Papakea Resort! This property was the perfect size for our family (2 adults, 2 teenage boys). It's a great location, close to surrounding beaches and convenient to grocery stores and restaurants, with great pools, tennis courts, and putting greens. We loved being able to eat our own meals whenever we wanted to, and we enjoyed the grills and the nearby fishmarket. The recreation closet is well stocked and made it possible for us to travel a little lighter. The resort is well maintained and we took advantage of the Expedia rep onsite to book several excursions. Wish we could go back right now--we're missing those sunsets right off the lanai!